I urge you to go look at it in detail here. 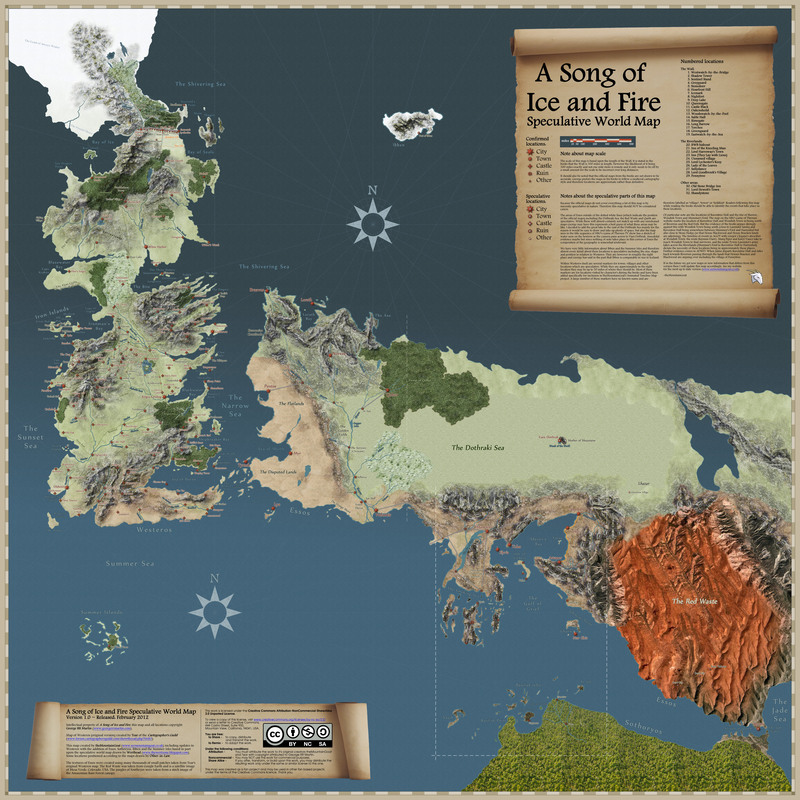 You can see Westeros, Essos, Sothoyos, Ibben, etc. And there’s wonderful Google Earth satellite imagery overlaid on the desert, forest, and so on. Wonderful. Go play. Monica, I don't think so. Just lots of luscious detail on terrain. Monica, cool! I don't have a pub date for Hild yet, but as soon as I do, I'll tell the world.